Having used computers for most of my life I have learned a lot of things that I now take for granted. Many of these things I falsely assumed that most people know but every now and then I watch people who aren’t so computer savvy taking a long time to do the simplest tasks. So I would like to share with everyone a quick list of shortcuts that I use almost every single time I am on the computer. If you’re a more advanced user you might be wasting your time reading this list but if even if you learn one shortcut here it can save you a lot of time and make your time spent on your PC much more pleasant and efficient! Note that these tips are written for Windows-based computers but some of them maybe applicable to Mac as well. Become a better, more efficient and more productive PC user and read on! Ctrl + A – Selects all the text and images on a page, either in a word processor or web-browser. Remember it as ‘A’ for all. Ctrl + C – Copies selected text and images. Remember it as ‘C’ for copy. Ctrl + X – Cuts selected text and images. The difference between cutting and copying is that cutting the selected content removes it from your current document and copying it leaves it. Ctrl + V – Pastes any cut or copied text or images to your document. WORTH NOTING – The short cuts above also work on things other than text and pictures in a document. But also on files, folders and short cuts. Shift + Left or Right arrow keys – Selects a single character or image to the left or right of the typing cursor (not the mouse cursor, the type cursor which is the little flashing line that shows where your about to start typing). Ctrl + Shift + Left or Right arrow keys – Select a whole word instead of just single characters to the left or right of the typing cursor. Shift + End – Selects everything to the right of the typing cursor to the end of the line. Shift + Home – Selects everything to the left of the typing cursor to the start of the line. Ctrl + Shift + End – Selects everything to the right of the typing cursor to the end of the document. Ctrl + Shift + Home – Select everything to the left of the typing cursor to the beginning of the document. Double clicking the left mouse button on a word selects the whole word, rather than left clicking and dragging to highlight it. WORTH NOTING – Using the commands above without holding the Shift key will carry out the command without selecting (highlighting the content). eg. Ctrl + End will shift the typing cursor to the end of the document but will not select or highlight the content. The best way again, to see what I am talking about is to try it out yourself! The best way to get an idea of what all of these short cuts do is top open a text document in Word or Notepad and try them out for yourself. They will work in pretty much any program. As far as I know, these short cuts are applicable to the majority of major web browsers (Internet Explorer, Opera, Firefox and Chrome). Ctrl + ‘+’ (Plus key) – Increases the size of the text to make it easier to read on a webpage. Ctrl + ‘-‘ (Minus key) – I’m sure you can guess what this one does….yep….decreases the size of the text. Ctrl + 0 (Zero key) – Resets the text size back to it’s default. Ctrl + F – Opens the find dialogue which enables you to type in any word you are looking for on a web page, press the enter key to cycle forward through all matching results. This also works in PDF documents which is very handy. When typing a web-address in the address bar of your web-browser pressing Ctrl + Enter will add the www. and .com to the beginning and end respectively of the URL. (eg. type the word google into your address bar and press Ctrl + Enter). Furthermore, Shift + Enter will do .net and Ctrl + Shift + Enter will do .org. This is a big time saver! Tapping the space bar while viewing a web page will scroll the screen down one “screen full”. Holding the shift key and tapping space will scroll it back up. When filling in web forms use the TAB key to cycle forward through the form fields, use Shift + TAB to cycle back. Ctrl + D – Will add the web page you are currently viewing to your Bookmarks/Favourites. You don’t have to type http:// or www. before a web address. eg http://www.daily-grind.net is unnecessary, daily-grind.net will save you some key strokes and work just the same! Better yet, use the Ctrl + Enter shortcut mentioned above. 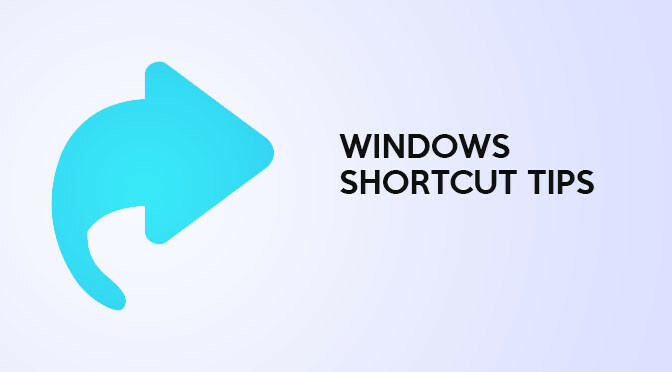 Many of these short cuts I have already covered in another my ‘Every Windows Key Shortcut You Will Ever Need‘ article. Definitely worth a read after reading this. Alt + TAB – Cycles between open programs. Windows Key + D – Minimises all open programs. (Great for hiding your solitaire game when the boss walks in the room!). Windows Key – Pops up the Windows Start Menu. Selecting a file, folder or short cut and pressing F2 will enable you to rename the selected item. Let me know in the comments if I have missed any that you think should be added!